Watch Xbox One game clips without the Smartglass app, even if they aren't published. Currently, Microsoft only allows for uploaded game clips from Xbox One to be viewed through the system itself or through their own Smartglass app. Reddit user cadab built his own solution by creating a website that gives users access to all saved game clips, even if they haven't been published. Searching by gamertag will bring up all saved game clips, uncompressed. Cadab's website accesses Xbox One clips that have been uploaded to the cloud by players. The ability to access unpublished videos is a privacy concern and it is likely that Microsoft will respond, but so far the site's creator has not been contacted. The website itself is only a few hours old at this time and is receiving enough traffic that cadab has had to make hosting adjustments already. Still, it is an easier way to access game clips and may signify to Microsoft that their users would take advantage of a similar, official service. ...and may signify to Microsoft that their users would take advantage of a similar, official service. Which Microsoft will duly ignore, because Microsoft is in the business of telling their customers what their customers want until the uproar reaches critical levels. I hope they do shut it down though. As stated, the ability to access the unpublished content is scary. I'm sure Microsoft will respond soon as this sort of loophole leaves them open to get complaints and lawsuits thrown at them. they probably already plugged that by the time were reading this, but did they really mess up sp much that anyone can scan their videos? and thne they say there are no viruses on consoles. well, why woudl you need one if you cna just take the content anyway. It still works in October 2014. I have an Xbox One, but uploading clips from it to YouTube, or anywhere else, is painful. The Xbox One software is clumsy and seems to lower the quality of the videos at some point in the process. 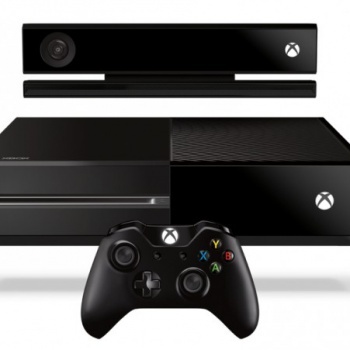 The Xbox One communicates over the network. All anyone needed was a packet sniffer to see what domain and URL are used for storing the clips. MS made a small mistake in keeping this stuff unsecured, especially if someone wants to keep their game choices and gameplay a secret.